Our heartiest congratulations go to Dr. Daniel B. Stephens, HAS alumnus, who was recently elected to the National Academy of Engineering! Stephens, Chairman of the Board and Principal Hydrologist of Daniel B. Stephens & Associates, Inc., was elected with the Class of 2019 (Earth Resources) for "innovations in vadose zone hydrologic practice and theory." Awards and professional recognition have followed Dan throughout his life. In 2017, he was awarded the Groundwater Resources Association of California Lifetime Achievement Award for his lifelong dedication to the groundwater industry. Stephens has been acknowledged as a pioneer in his field of expertise, specifically, applied analyses of vadose (unsaturated) zone processes that play a vital role in quantifying groundwater recharge rates and understanding infiltration processes and contaminant transport. In 2004, he received the University of Arizona Alumni Association's Sydney S. Woods Alumni Service Award. Stephens, a former student of Regents Professor Emeritus Shlomo P. Neuman, is the third student of Neuman's to be elected to the NAE in the past three years and now joins former students Dr. Jesus Carrera (Class of 2018) and Dr. Dongxiao Zhang (Class of 2017) as Academy members. 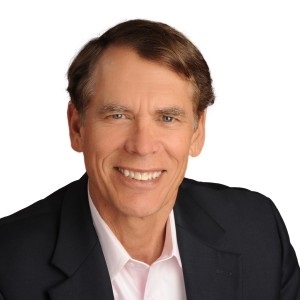 Dan began his private consulting in 1976 and completed his PHD in hydrology at the University of Arizona in 1979. In 1986, he left his position as chair of the Department of Geosciences at New Mexico Tech to apply his expertise in hydrogeology to public and private-sector clients who were facing challenges in complying with tough, new environmental regulations. With a modest start in Socorro, New Mexico, DBS&A grew to a $17-million corporation with seven offices in California, New Mexico, Colorado, and Texas. In 2015, DBS&A joined forces with Geo-Logic Associates (GLA) and now has 27 offices and more than 250 employees in the U.S. and abroad. Congratulations, Dan, for this well deserved and outstanding achievement! A team of researchers led by UA HAS Professor Xubin Zeng has mapped exactly where in the Western U.S. snow mass has declined from 1982 to 2016. The team mapped the changes in snow mass onto a grid of squares 2.5-miles on a side over the entire contiguous U.S. "A person could practically find the trend for their neighborhood," said first author Zeng. "Grid size for previous studies was about 40 miles on a side. This is the first time anyone has assessed the trend at the 2.5-mile by 2.5-mile pixel level over the 35-year period (1982-2016)." Researchers found that in some areas of the Western U.S., annual snow mass has decreased by 41 percent, while the Eastern U.S. has experienced very little decrease in snow mass. UA co-author, HAS alum, and UA SNRE research scientist Patrick Broxton said, "The big decreases are more often in the mountainous areas that are important for water supplies in the West." Snow mass is how much water it contains, which is important in regions where winter snows and subsequent snow melt contribute substantially to water resources. Snow melt contributes to groundwater and to surface water sources, such as the Colorado River. Zeng's team also found over the period 1982-2016, the snow season shrank by 34 days on average for squares that, if combined, would equal the size of Virginia. "The shortening of the snow season can be a late start or an early ending or both," Zeng said. "Over the Western U.S. an early ending is the primary reason. In contrast, in the Eastern U.S. the primary driver is a late beginning." Temperature and precipitation during the snow season also have different effects in the West compared with the East. In the West, the multidecadal changes in snow mass are driven by the average temperature and accumulated precipitation for the season. The changes in the Eastern U.S. are driven primarily by temperature. The paper, Snowpack Change from 1982 to 2016 Over Conterminous United States, by Zeng, Broxton, and their co-author Nick Dawson of the Idaho Power Company in Boise, Idaho, was published in Geophysical Research Letters on December 12. Developing the new data set has allowed the UA-led team to examine changes in temperature, precipitation, and snow mass from 1982 to 2016 for every 2.5-mile by 2.5-mile square in the contiguous U.S., as well as to study how snow can affect weather and climate. "Snow is so reflective that it reflects a lot of the sunlight away from the ground. That affects air temperature and heat and moisture exchanges between the ground and the atmosphere," said Broxton. Zeng, who holds the Agnese N. Haury Chair in Environment at the UA, is now working with NASA to figure out a way to use satellite measurements to estimate snow mass and snow depth. NASA and the UA's Agnese Nelms Haury Program in Environment and Social Justice funded the research. For more details about their methodology and the data collected from on-the-ground measurements used to develop their new dataset--including COOP, SNOTEL, and PRISM--see Mari Jensen's UA News.org article here. Bravo to David Gochis, UA HAS alumnus and NCAR scientist, who was named a 2019 American Meteorological Society Fellow for his "outstanding contribution to atmospheric and hydrologic sciences through his career." David is currently the NCAR principal investigator on the WRF-Hydro Modeling System, an open-source community model that predicts streamflow and surface hydrology variables across the continental United States operating as the NOAA National Water Model. Gochis, who has presented seminars, guest lectured, and served on graduate exams in the HAS department, completed his Ph.D. in hydrology under the supervision of recently retired W.J. Jim Shuttleworth, in 2002. Thompson makes a difference for students who cannot always afford food or who might be struggling to balance studying with work and family obligations, and might forget to pack a meal, Whitaker wrote. “What Terrie has quietly created is a mini food pantry for our students. But more than that, it’s a consistent demonstration of kindness that lets students know someone cares,” Whitaker wrote. Students from several departments often congregate to study in the student conference room, and are surprised and touched by the kindness, she wrote. More info and to nominate someone: Go to bensbells.org/BellingForm to submit a name. Go to bensbells.org or call 622-1379 for more information. For additional pictures go to HAS Facebook. Photo: Presentation of the 2017 Groundwater Resources Association of California's Lifetime Achievement Award to Dr. Daniel B. Stephens. (Left to right) HAS department alumnus* Dr. Graham Fogg (Professor, University of California at Davis), HAS department alumnus* Dr. Daniel B. Stephens (Founder and Principal Hydrologist, Daniel B. Stephens & Associates, Inc.), Dr. Stephen Cullen (Daniel B. Stephens & Associates, Inc.), and Mr. Jeff Gilman (San Francisco Public Utilities Commission). Daniel B. Stephens & Associates, Inc.'s (DBS&A) Founder and Principal Hydrologist, Daniel B. Stephens, Ph.D., P.Hg, P.G., has been selected as the recipient of the 2017 Groundwater Resources Association (GRA) of California's Lifetime Achievement Award. This award is presented to individuals for their exemplary contributions to the groundwater industry, contributions that have been in the spirit of GRA's mission and organization objectives. Like past recipients of the Lifetime Achievement Award, Dr. Stephens has dedicated his career to the groundwater industry and has been a pioneer in his field of expertise; specifically, applied analyses of vadose (unsaturated) zone processes that play a vital role in quantifying groundwater recharge rates and understanding infiltration processes and contaminant transport. Dr. Stephens was recognized at GRA's Annual Conference in Sacramento, California, on October 3-4, 2017. Fellow alumna (Ph.D., Hydrology, 1999 and M.S., Hydrology, 1996), Dr. Nicole Sweetland, Principal Hydrogeologist of DBS&A and President of DBS&A's parent company, Geo-Logic Associates (GLA), congratulated Dan on this recognition of his significant and enduring impact on the scientific community. "Dan has been a tremendous mentor to me in my career and I could not be more proud." Dr. Stephens began private consulting in 1976 and founded Daniel B. Stephens & Associates, Inc. (DBS&A) in 1984. With a modest start in Socorro, New Mexico, DBS&A grew to a $17-million corporation with seven offices in California, New Mexico, Colorado, and Texas. In 2015, DBS&A joined forces with Geo-Logic Associates (GLA) and now has 27 offices and more than 250 employees. As an alumnus of UA (Ph.D., Hydrology, 1979), the founder of DBS&A, and a GRA member for 15 years, Dr. Stephens has aligned himself with the mission and objectives of the GRA, promoting his colleagues' professional development, and achieving technical excellence over his lifetime through research, innovation, and education. Learn more about Dr. Stephens at the company website. *Both Graham Fogg and Dan Stephens were students of Professor Emeritus Shlomo Neuman, who also received the Groundwater Resources Association of California's Lifetime Achievement Award in 2013. Vic Baker, HAS Regents Professor and megaflood expert, will be featured on the upcoming NOVA program, "Killer Floods." See a short trailer here. Baker's research focus areas include paleohydrology and related aspects of geomorphology (particularly flood processes), planetary geomorphology, Mars hydrology, Earth science in relation to public policy, the environment, and philosophy of science. Christopher Castro, Associate Professor of Hydrology and Atmospheric Sciences, will feature in an upcoming DoD Webinar on October 5 at 9 am (PT), 12 pm (ET). The title of Castro's talk is "More Extreme Monsoon Precipitation in the Southwestern United States and the Potential Implications for DoD Facilities." SERDP & ESTCP have launched this webinar series to promote the transfer of solutions developed through projects funded by their environmental program areas. The DoD's Resource and Conservation Resiliency Program is also concerned about U.S. Department of Defense (DoD) lands in desert environments. This #resourceconservation webinar on October 5th will discuss management needs in the Southwestern United States. Register for the #SEWebinar today! A round of applause, please, for HAS colleague and former faculty member, Francina Dominguez, on being selected for the 2018 AMS Henry G. Houghton Award in recognition of her pioneering contributions to terrestrial meteorology and improving our understanding of land-atmosphere interactions. Dominguez was among the founding faculty members of our department's Hydrometeorology program and served as its co-director. In 2015, she returned to her alma mater, the University of Illinois, where she has initiated a similar research group focused on hydrometeorology and land-atmosphere interactions. Dominguez will receive her award in a formal ceremony at the AMS annual meeting in Austin, Texas, in January 2018. Congratulations, Francina! Dongxiao Zhang, former doctoral student of Regents Professor Shlomo Newman, current member of the HAS Advisory Board, and Founding Professor and Dean of Engineering at Peking Universty, has been elected to the U.S. National Academy of Engineering (NAE). Zhang is one of 84 members recently elected to this prestigious appointment. Individuals in the newly elected class will be formally inducted during a ceremony at the NAE’s annual meeting in Washington, D.C., on October 8, 2017. A list of the newly elected members and foreign members with their primary affiliations at the time of election and a brief statement of their principal engineering accomplishments can be found on the NAE website. What's your New Year's Resolution as it relates to your work or interest in climate change? Read Amber's response, and those of 12 other influential and nationally respected individuals, at the Yale Climate Change Connections link. Jeffrey Kargel, HAS Senior Associate Research Scientist and Adjunct Professor, was recently selected to serve on two committees for the NASA Advisory Panel, "Roadmaps to Ocean Worlds" (ROW), which is charged with developing mission concepts and exploration goals for the ice-covered ocean worlds of the outer Solar System, of which we know there are several and suspect many more. The specific committees include one for Enceladus (Saturn's Arizona-sized moon that is actively shooting geysers sourced in an ocean) and one for Kuiper Belt Objects including Pluto. Kargel noted that, "NASA has recently embarked on development of a massive outer planets exploration goal comparable to that which served Mars exploration for the past 18 years. There will be many, many missions, and this advisory activity is designed to help identify the goals, target objects, and missions...and a far otherwordly extension of hydrology." Congratulations and good luck, Jeff!